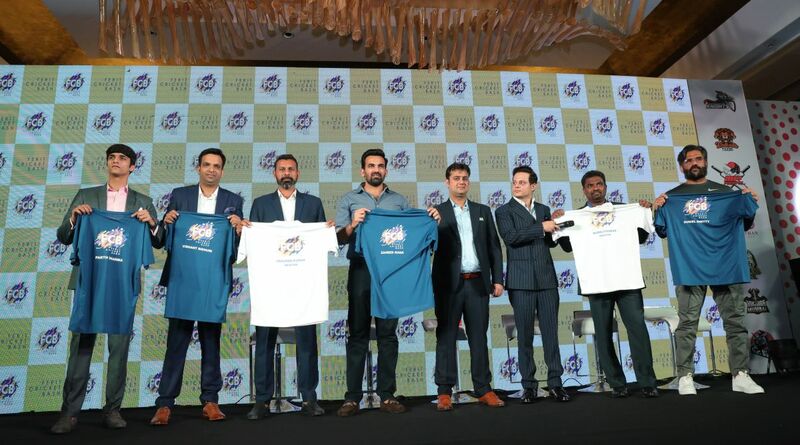 Bollywood actor Suniel Shetty and veteran Indian pacer and cricketing legend Zaheer Khan, along with Jasmeet Bhatia and Mitesh Sharma, on Thursday, announced the launch of Ferit Cricket Bash (FCB). Suniel Shetty and Zaheer Khan Join Hands to Launch Ferit Cricket Bash. FCB is India’s first nationwide cricket league for amateur cricketers. FCB will feature 16 teams representing various regions of the country. Registration is open for players who are 15+ years and the best performers will be selected, subject to an intensive 22-city talent search. The league aims to discover the most talented and passionate amateur cricketers from across the country. After two selection rounds, involving several thousand aspiring cricketers across multiple cities in India, the final 224 players will be divided across 16 teams. These teams, which will be mentored by international cricketers and leading coaches from across India, will then compete with each other in an exciting 15-over-a-side format. Each shortlisted player will receive a participation fee of Rs 1 lakh along with exciting cash rewards for the winning teams. The top 14 performers of FCB will be given a once-in-a-lifetime opportunity to represent the FCB All-Stars Team and participate in a local club level tournament in Australia. The FCB launch ceremony was hosted by Gaurav Kapoor and graced by some of the most iconic names from the game of cricket such as Zaheer Khan, Muttiah Muralitharan, Chris Gayle, and Praveen Kumar. Industrialists Jasmeet Bhatia and Mitesh Sharma, co-founders and promoters of FCB, also stated that a few more international cricketing icons would likely be signed on as mentors for the upcoming season of FCB. “I started my journey amongst hundreds of other cricket enthusiasts, and most of us had nothing, but our love for the game kept us going. It was the opportunities I had while participating in local tournaments back home that later enabled me to represent my country. Therefore, I most definitely realise the value of an opportunity given to amateur players, especially those with humble beginnings. Many passionate cricketers we’ll encounter during our search may not aspire to become professional players, but at FCB, it won’t stop them from fulfilling their desire of becoming a part of a team, having their names on their jerseys, playing on beautiful grounds across India or having their friends and families rooting for them, while the nation watches. That is the USP of FCB, and I am very proud to be associated with Suniel Anna, Jasmeet and Mitesh. I look forward to encouraging and engaging with India’s most talented cricketers,” Zaheer Khan said. India vs Australia | ‘Still two Tests to go’: Sourav Ganguly warns detractors of Virat Kohli & Co.